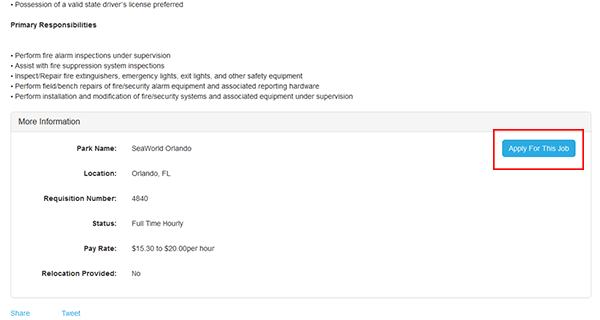 Apply for numerous positions online using the SeaWorld Orlando job application. 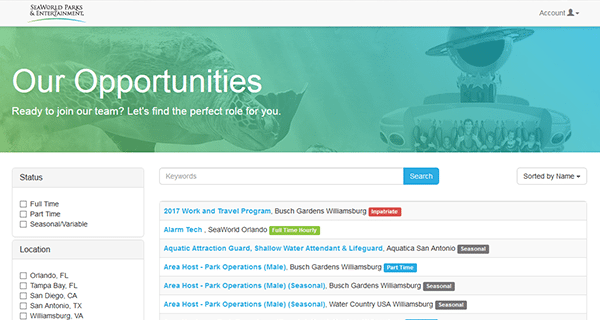 Current openings in all locations can be searched for on the company’s main careers page. Read the below section for more information regarding the online hiring process. 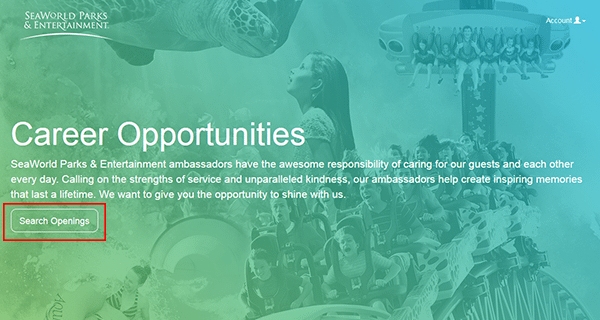 About the Company: SeaWorld Orlando is part of the SeaWorld chain of aquariums/theme parks. The park is located in the city of Orland in the State of Florida. The park was opened in 1973, and sees more than three million visitors per year. Step 1 – Click here to have the company’s careers page open in a new tab or window. Step 2 – Press the “Search Openings” button to load the main search page. Step 3 – Select if you’re currently employed by the company or not. Step 4 – Enter “Orlando” into the search form and hit the “Search” button to view the results. Step 5 – Results can be filtered by status, location, or team. Step 6 – Press the link of the position that you want to submit an application for. Step 8 – Press the button as outlined in red in the below screenshot (to go to the next section). Step 9 – If you already have an account log in to it. 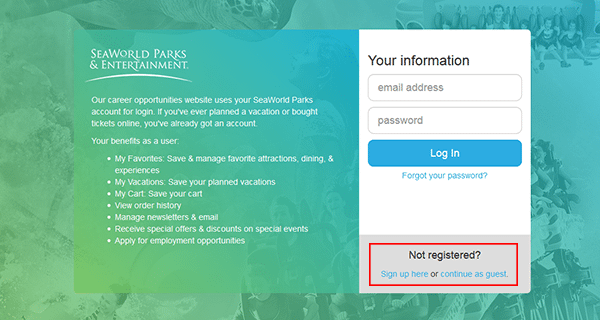 If you need to create a new account press the “Sign up here” (or “Continue as guest”) link. 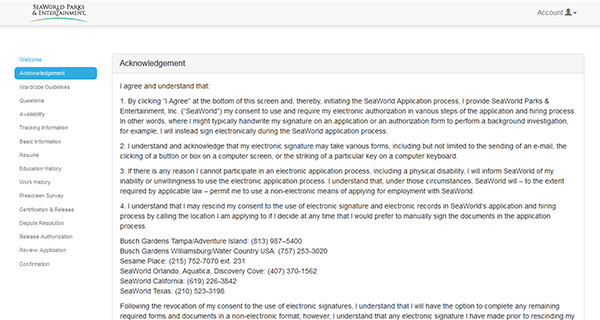 Step 10 – Click the “Next” button and then read/accept the terms and conditions.